A good source of protein and fibre, our Split Green Moong Dal is relatively easy to digest. Our company shares glorious credentials with the nonpareil Suppliers and Exporters of Split Green Moong Dal from Thailand. 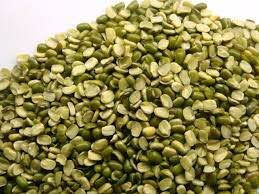 We maintain a large stock of Split Green Moong Dal, to cater bulk and urgent requirements of buyers. Buyers can obtain the Green Moong Dal in different packaging options and at nominal rates.